Note: Fields marked with * must be completed to submit this registration form. Please enter either your home phone number or your mobile phone number. Do you have any specific requirements? E.g. Is English your second language, mobility or other. This web form is secure via SSL, however the transfer of data via email from this web form is a standard email protocol and is not encrypted. 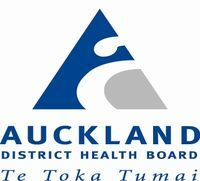 The Women’s Health Directorate at Auckland District Health Board (DHB) provides a new and enhanced programme for publicly funded pregnancy and parenting education. The service is for all women expecting their first baby, their partners and whanau. Feelings of anxiety or depression during pregnancy or during those early parenting days? Women and their partner/support person can access face-to-face pregnancy and parenting education in community locations. Courses consist of 2 x 3 hour classes run over 2 weeks, or a block course of 6 hours. Bookings are essential. We will contact you in writing to confirm your booking. SHOULD YOU FAIL TO ATTEND AS BOOKED, WE CANNOT RE-BOOK YOU INTO ANOTHER CLASS BECAUSE OF THE HIGH DEMAND FOR OUR CLASSES. Please note that we do not accept bookings until women are 14 weeks pregnant. Ideally, you will be about 30 weeks pregnant when you attend a pregnancy and parenting class. (Please note: If you do not receive a confirmation email for your booking, please CHECK YOUR JUNK/SPAM EMAIL FOLDER). Teen pregnancy module - focuses on meeting the needs of teenagers. Dads, this is just for you! Check out this amazing book titled "Why Dads?" with the best parenting information and helpful tips for the Dad in the family. Click here for the "Why Dads?" Booklet. PLEASE NOTE: All classes are NATURAL BIRTH CLASSES and are for women who are healthy and have a low risk of complications when giving birth. A natural birth is where no medical intervention is planned. Join the team at Ngāti Whātua Ōrakei for kaupapa Māori pregnancy and parenting education classes. Enjoy all the key messages, alongside exploring Te Ao Māori in relation to pregnancy and parenting - the status of wāhine hapū, whakapapa, ancestral stories, traditional birthing and parenting practices and much more. Make your very own ipu whenua (container for the afterbirth), and learn the significance of the afterbirth. Learn kupu Māori (Maori language) in relation to pregnancy and parenting. This is an empowering journey for all new mātua/parents. It allows whānau to share their stories, bring out whānau knowledge and weave each other's experiences together for the wellbeing of our pēpī, tamariki, whānau and wider community. Wānanga courses are available and are held over two days, 9am to 3pm. There is a sleepover option if required. Look for a course that suits you in the schedule above. Are you looking for a pregnancy and parenting class with a Pasifika focus? Check out Health Star Pacific Community Health in Panmure who offers FREE pregnancy and parenting classes. Look for a course that suits you in the schedule above. SmartStart - A step by step guide for you and your baby! In addition to the face-to-face classes, there is a new website and App containing evidence-based pregnancy and parenting information. 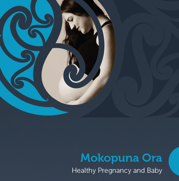 To view the new "Mokopuna Ora Healthy Pregnancy and Baby" website and download the App, please click here www.mokopunaora.nz. Having a baby brings a great deal of happiness, but it can also be a stressful time for many. The new journey for mothers, fathers and their whanau/family often brings change and requires a lot of support. Up to 25% of women experience emotional turmoil and as many as one in eight suffer from depression during or after pregnancy. HELP AND SUPPORT IS AVAILABLE! Check out www.depression.org.nz to find out about depression and anxiety symptoms, ways to help others, as well as finding services which can offer more support. There is also information specific to the perinatal period available at Mothers Matter, www.mothersmatter.org.nz and Perinatal Anxiety & Depression Aotearoa, www.pada.nz. You can be helped and supported through these challenging times. Pregnancy and parenting classes are also available through private childbirth education providers. These can be located by searching online for Auckland Central antenatal classes.